Attractive pink new growth on this prickly medium sized shrub. It has a lignotuber, which means it can be pruned to the ground and it will shoot back from the lignotuber if necessary. Responds well to pruning. It grows naturally in Jarrah forests in WA. 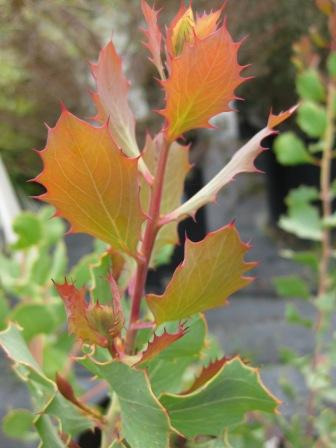 Excellent shrub as a screen or barrier plant, bird refuge and landscape shrub in hot dry climates.